In honor of my 200th post I decided to do something special. 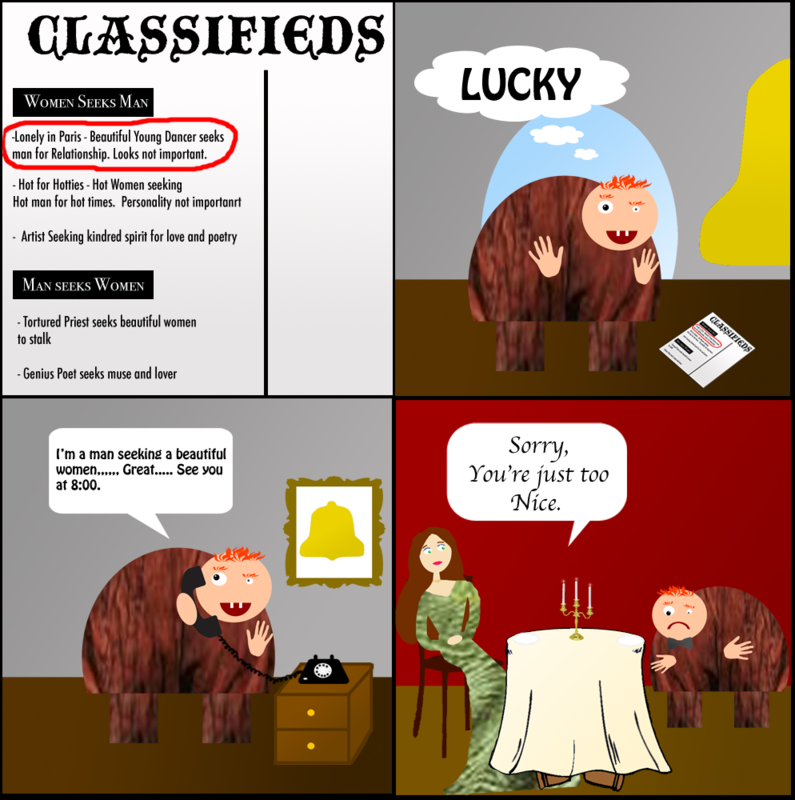 So I made a Comic entitled Quasimodo’s Date. Enjoy. Comic made by me, if you wish to post it somewhere else, please give the Hunchblog credit.